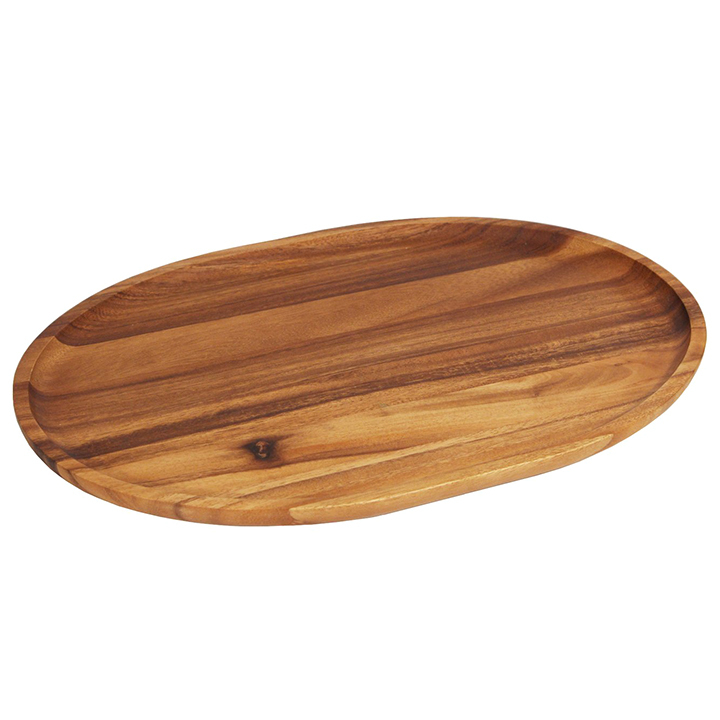 This wood platter is extremely versatile. It can be used to serve appetizers, cold cuts, and cheese. The natural styling complements all decors and can be used at wedding receptions and other fancy social gatherings that require fine serving pieces. The oval shape and large size make it ideal for table service or a buffet line.